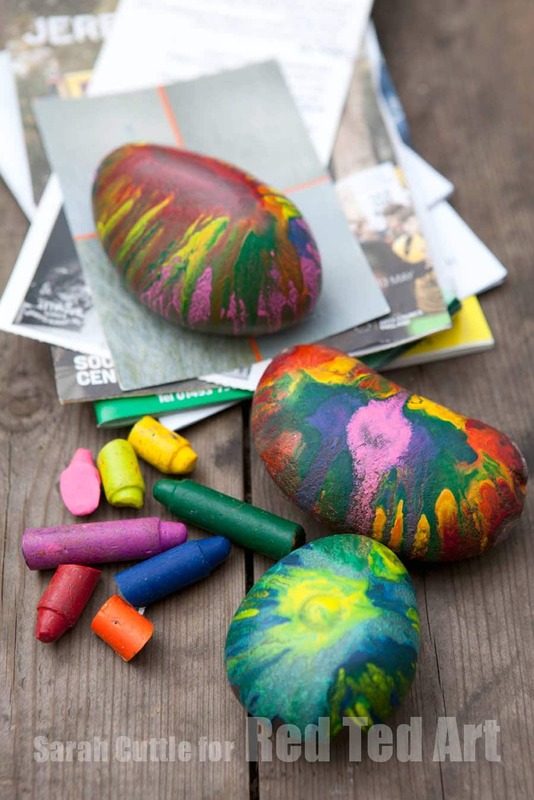 Great Father’s Day Crafts for Kids. 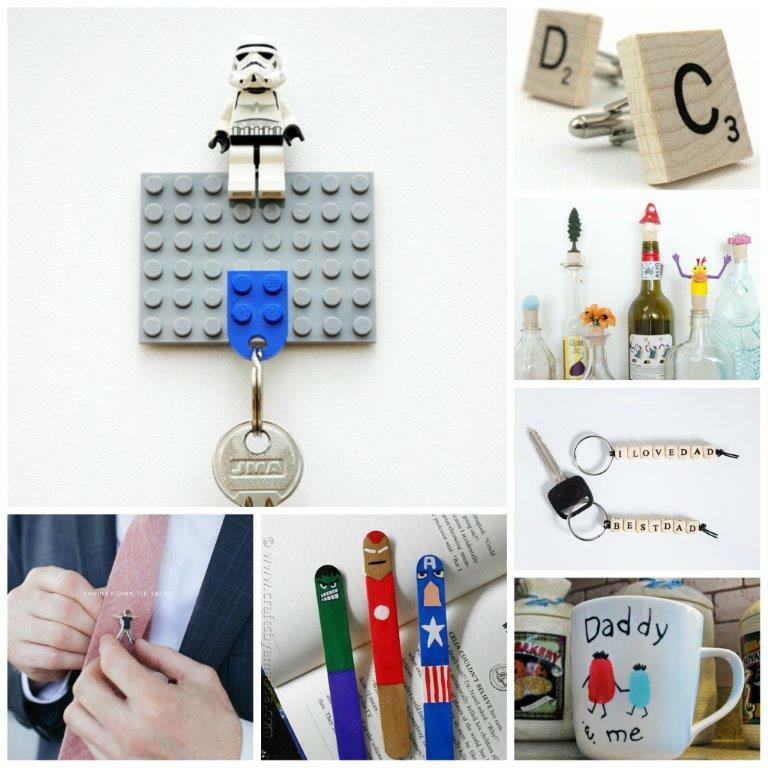 Get the kids to make their own Father’s Day Gifts! 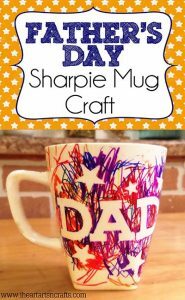 Father’s Day is rapidly approaching and fathers are notoriously difficult to buy, let alone make for.. let alone make with the KIDS FOR! 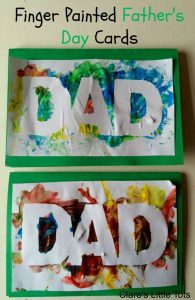 I do believe that a lovely homemade card and breakfast in bed is often quite enough for Father’s Day or Mother’s Day.. but a small gift never goes amiss either, right? 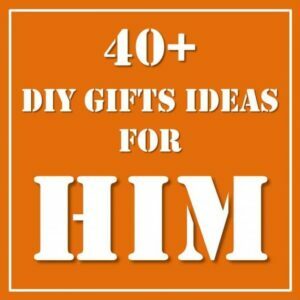 Or make these Father’s Day Gifts for Dad’s Birthday or for Dad at Christmas.. afterall, gifts don’t get any easier throughout the year! 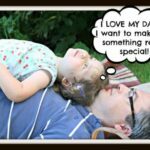 Here are some of my favourite Father’s Day ideas for kids, that I found around the web – the gifts remain “traditional” – from key chains, to photo gifts, but I do hope that these father’s day gifts are a little different and quirky and that you and the children are inspired to have ago. 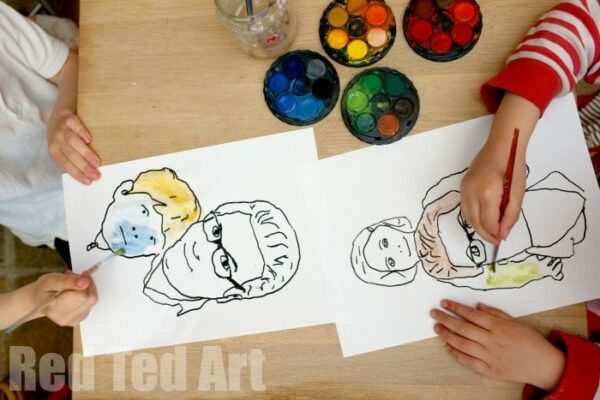 And don’t forget, with very young children a hand or footprint is always a wonderful keepsake gift, as is a hand drawn card with the first “Dad” scribbles in them. 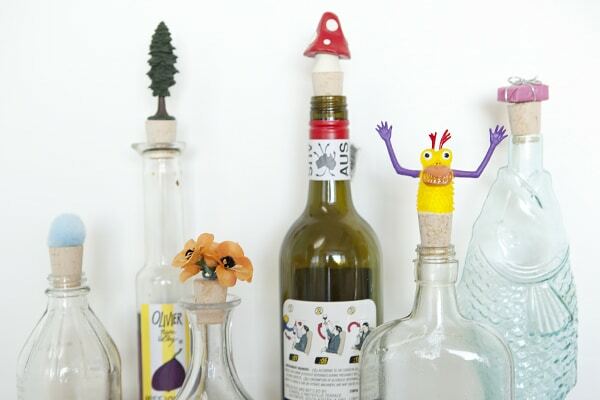 It doesn’t have to be complicated to be special! 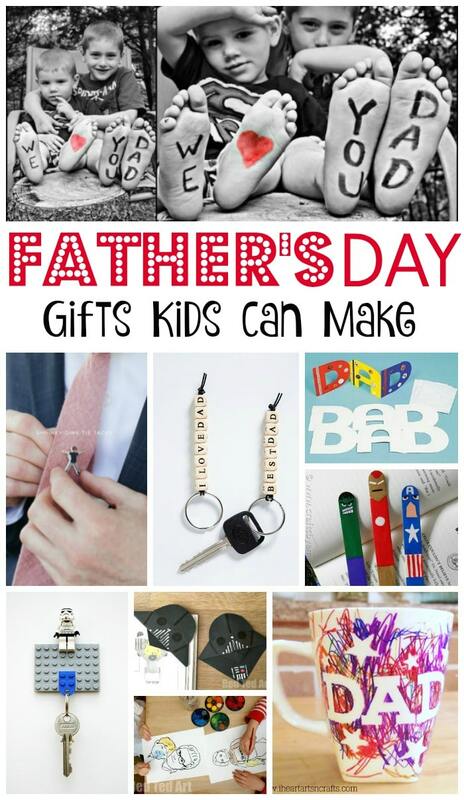 Father’s Day Gifts for Kids to make! 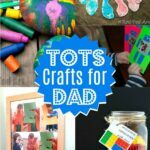 These Father’s Day Crafts for Kids were first shared in June 2014 and have been updated and republished for your convenience! 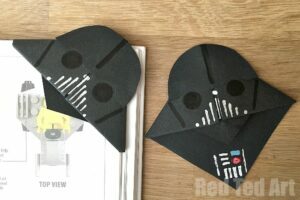 Make these super simple Darth Vader Bookcorners! 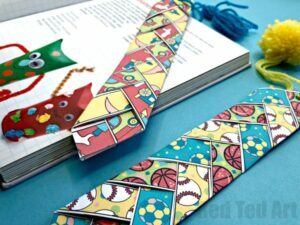 Father’s Day Paper Weaving Bookmarks. 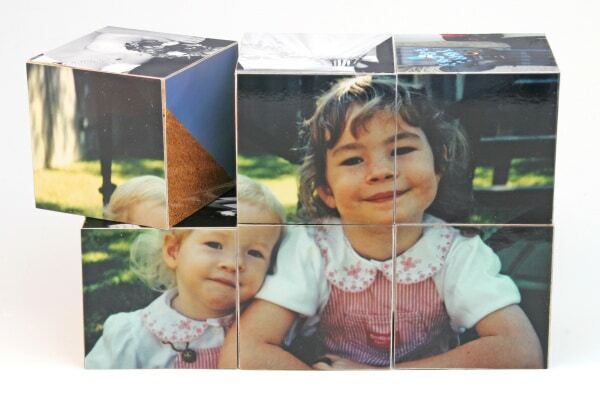 Four fab designs to choose from. All free! 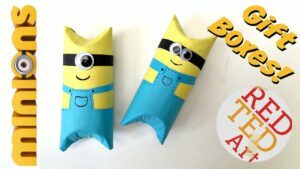 Fill these “One in a Minion” gift boxes with treats for dad! 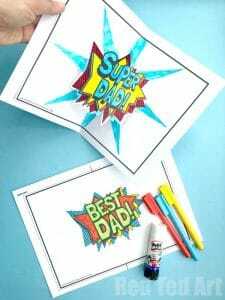 Father’s Day Pop Art – an EASY technique all kids can do! 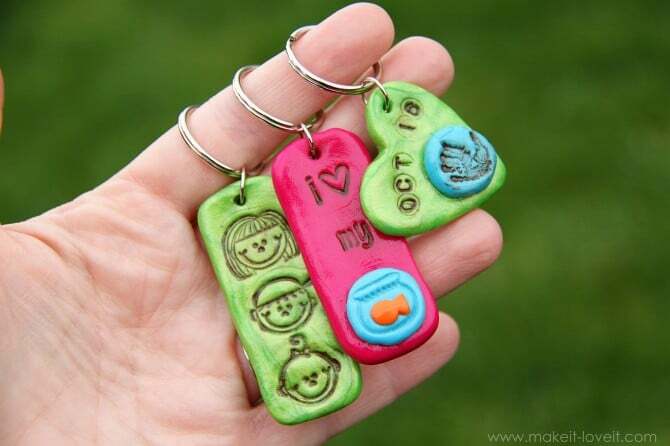 Custome Key Rings – Get the Kids designing! 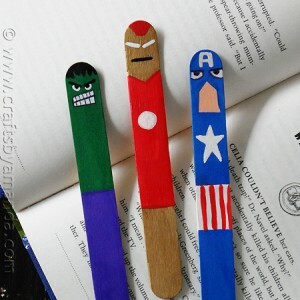 Superhero Bookmarks Get the kids to design their own wacky Characters! 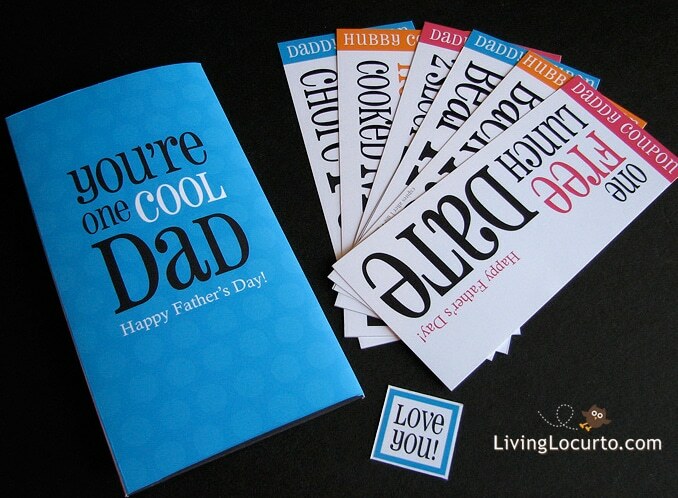 We also love this Finger Painted Father’s Day Card!!! 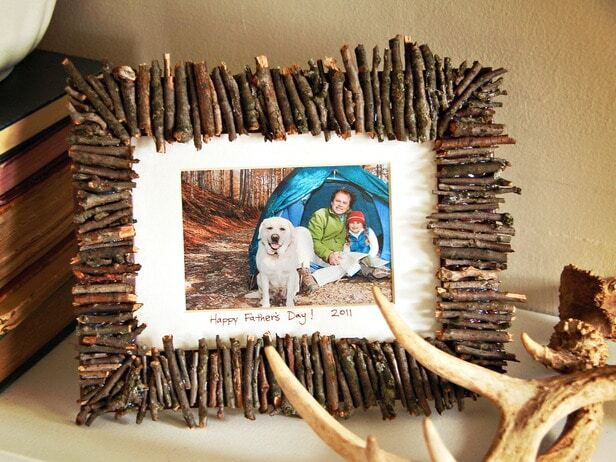 Twig Photo Frame – we think ANY photoframe decorated by kids make a lovely Father’s Day gift.. Make sure you add a special photo! 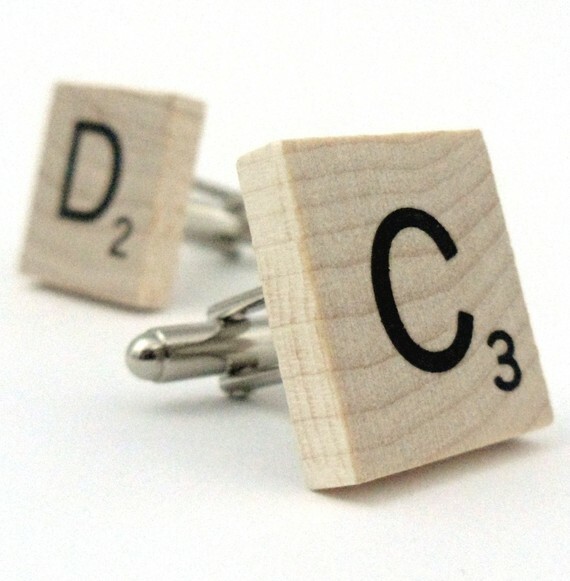 Scrabble Cufflinks (or Lego Cufflinks! 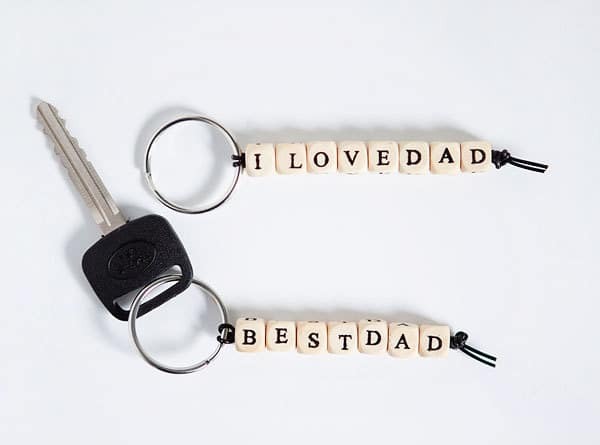 Love these) Make Dad’s Initials. 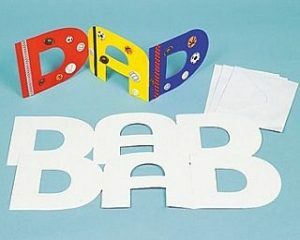 Happy Father’s Day Crafts for Kids making!!! 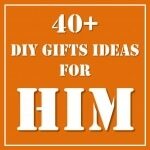 These are great homemade Father’s Day gift ideas. 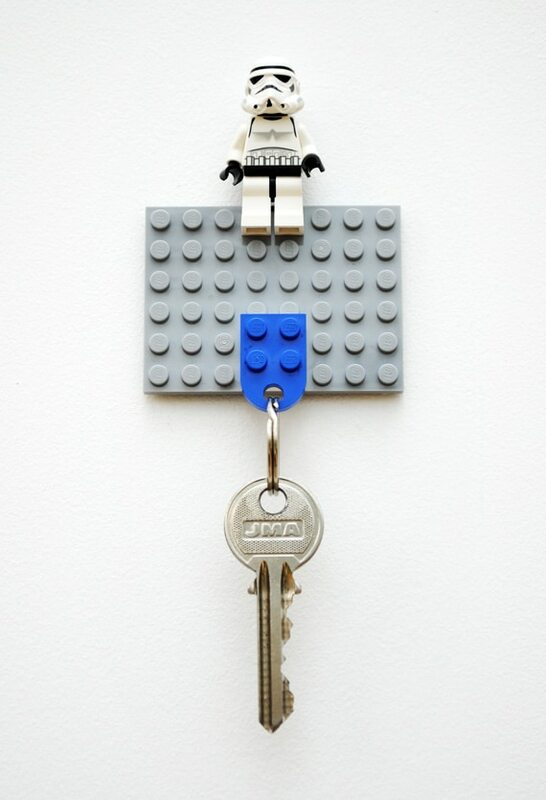 Please add this to Artsy Play Wednesday (open through Sunday). 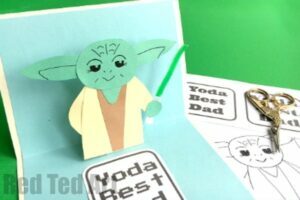 We will be doing a Father’s Day round-up next week from the posts that have linked up (over several weeks). 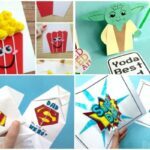 These ideas are so cute! 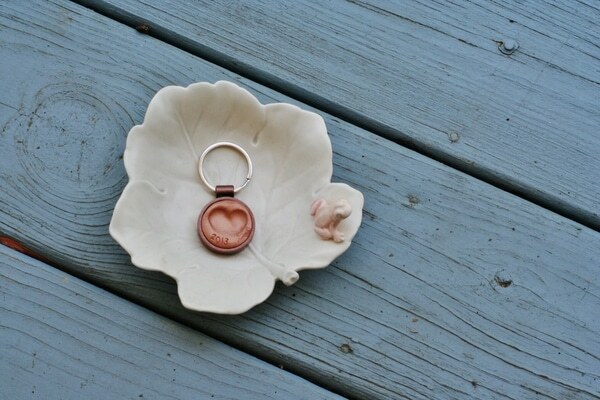 I love the idea of taking good old fashioned traditional favourites and adding a quirky/modern twist! 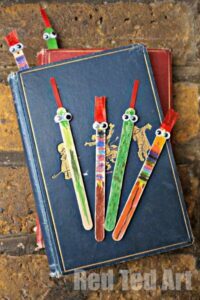 They must be so fun to make aswell. 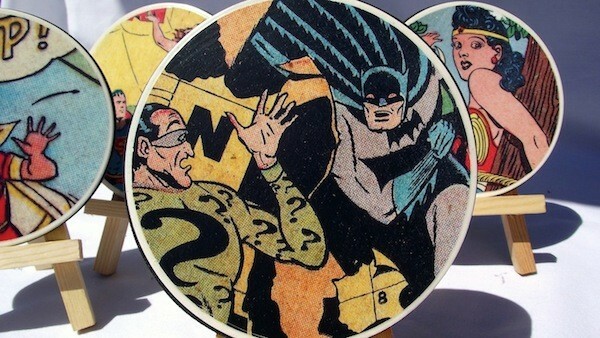 Awesome round up, thanks so much for including me! 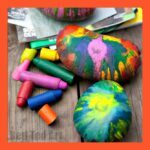 This site has created tons of fun for Dylan and me! All great resources! 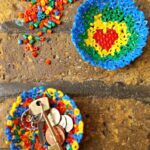 The link for the thumbprint key ring doesn’t seem to be working. Is it just my ipad? Thanks! Oooooh sorry! All fixed now! 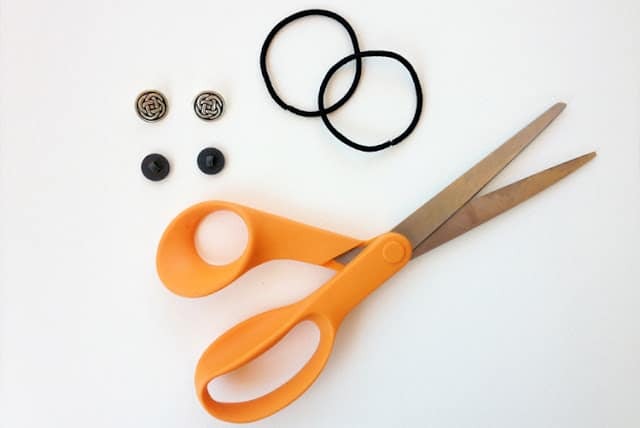 So many fun ideas. 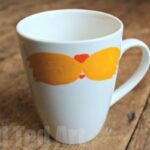 I love the mug that’s easy enough for my little ones can’t wait to try it. 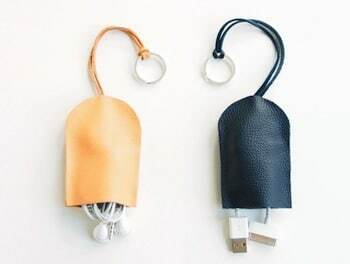 These are such great ideas! Thank you for sharing! 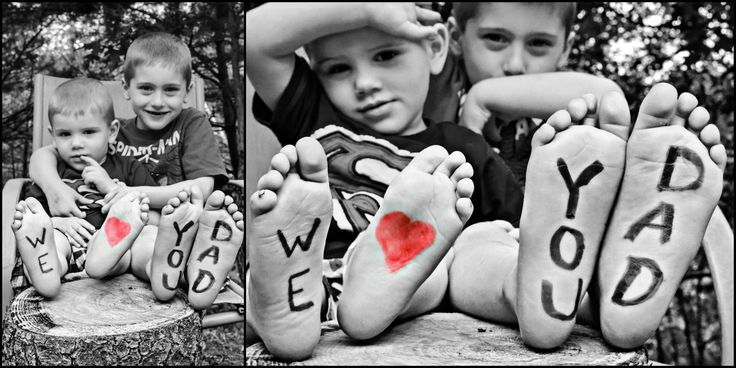 For the “We love you Daddy” black and white photo, the link goes to a Pinterest photo but not to instructions on how to create the photo. Can you share? Oh gosh, that is weird, I usually avoid doing that (this is an old post of mine that i recently republished), I will try and track it down. Apologies. 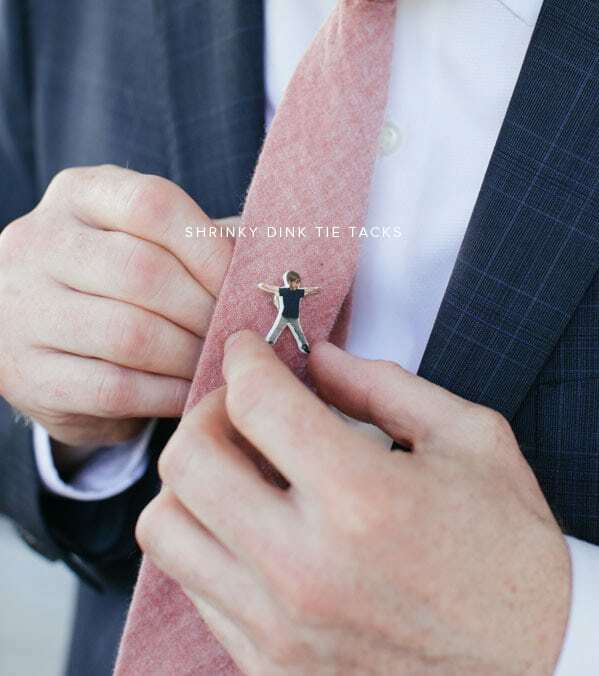 Sometimes, a store-bought gift just doesn’t send the perfect message for Father’s Day. 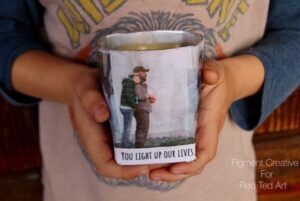 Instead of buying something from the store, crafty moms and kids can make their own Father’s Day gifts right at home. 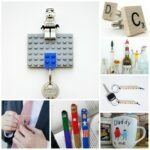 Dad will love getting a unique gift that was made with love by his family. 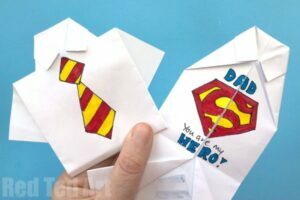 For Dads, there’s nothing quite as meaningful as receiving a homemade Father’s Day gift from their child on their special day. 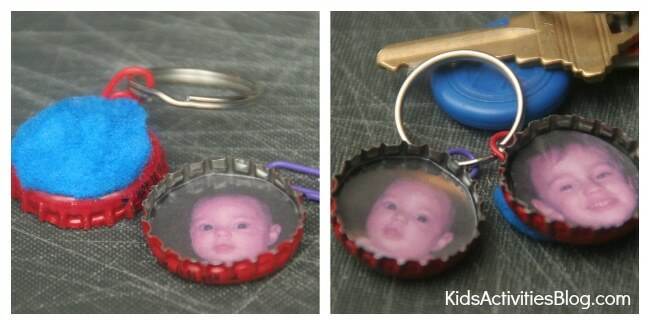 All of the Father’s Day gifts that you can made here are really easy to make.